Simple. Engaging. Enlightening. The way training was meant to be. Ristole is delighted to announce that Jackie Adams received the Outstanding Engineering Educator award from IEEE (Institute of Electrical and Electronics Engineers) Region 5. Recipients of this award are educators who have been recognized for their technical and professional contributions to the field of engineering through teaching. We at Ristole are thrilled that Jackie has received this well-earned recognition. Her unique approach as a leader and educator puts an emphasis on relationships and serves to empower the employees of her clients. It is this focus that makes Jackie an outstanding educator and it is our pleasure to share her success with you. 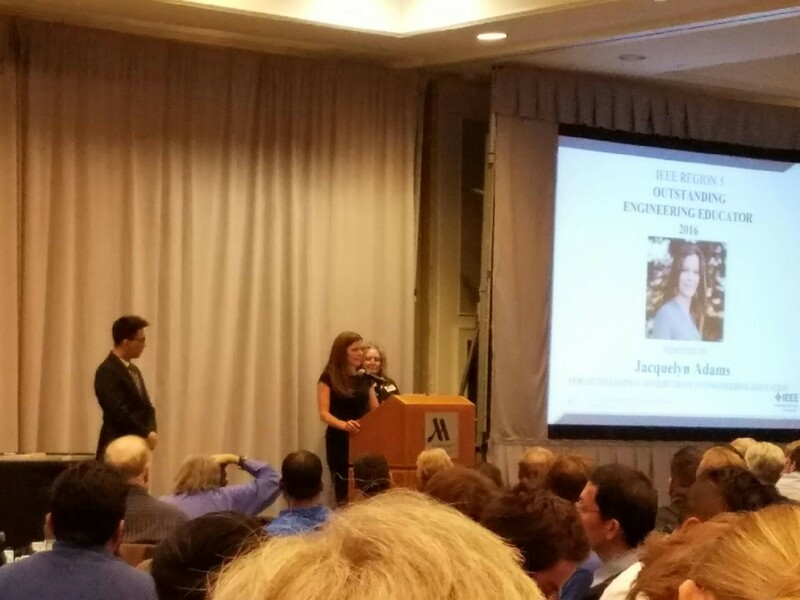 Jackie giving her acceptance speech at the IEEE Awards Banquet on April 1st, 2017. Welcome to The Ristole Report!